Cllr Steve Charmley has been talking about the latest developments around the Connecting Shropshire Project and how people can make the most of it. The details for the 2016 NSCA Annual General Meeting have been announced. Please click here for full details of the meeting. Shropshire Council announced today that car parking charges were to be frozen in the next financial year in order to help residents. For further details from Shropshire Council's website click here. Mark Pritchard MP addressing the attendees of the Christmas DinnerOn Friday December 16th the Oswestry Branch of the NSCA organised a Christmas Dinner at The Oswestrian Conservative Club in Oswestry. The event was well attanded and was entertaining for all. The speech by Guest Speaker Mark Pritchard gave evryone a insight into political life in Westminster in what has been an interesting year politically, combined with his wit this made for an entertaining time for all. 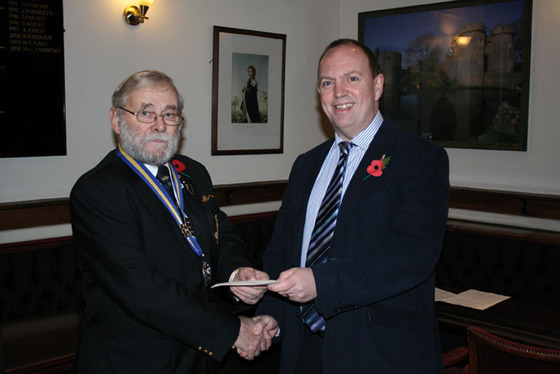 On Tuesday 1st November 2011, Mr Ted Larkins, Chairman of the Royal British Legion Oswestry Branch received £150 from Cllr Chris Schofield, Chairman of North Shropshire Conservative Association towards the welfare of the local branch. The North Shropshire Conservative Association held it's Annual Dinner in the lovely on Goldstone Hall near Market Drayton. The event was well attended with guest speaker Matthew Hancock well received by guests, a drinks reception followed by a 3 course dinner was provided, with an auction and raffle followed. If you would lke to attend a future event then head to our forthcoming events page for more details. The North Shropshire Conservative Association will be taking part in a day to raise awareness of the Alternative Vote (AV) Referendum which is taking place on May 5th. They will be holding events across the constituency. At these events we will also be stressing the importance of voting NO on May 5th to prevent a new system which is inherently unfair being adopted. With only two years to go till full elections across the constituency we are inviting anybody who would be interested in standing as a candidate to get in touch. The Whitchurch Conservative Branch recently held a well attended Sunday Lunch in the centre of Whitchurch. 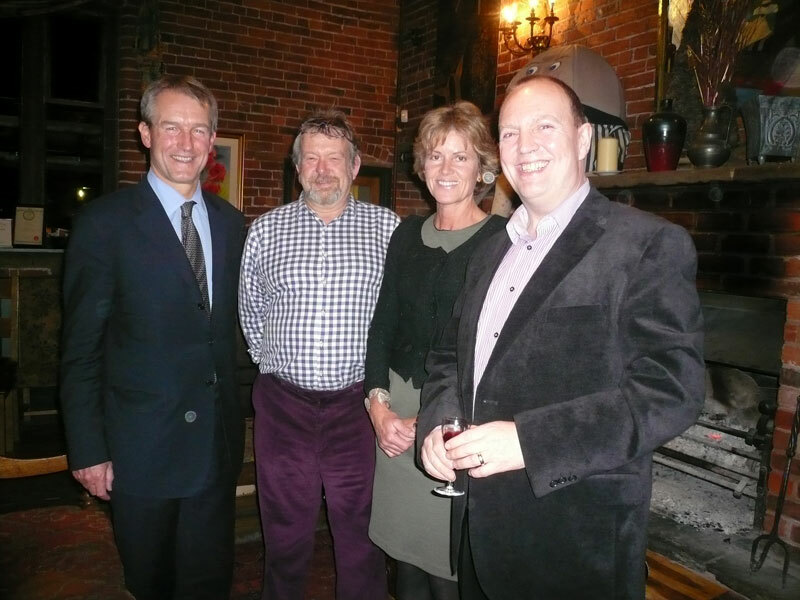 Guests remarked on the friendly relaxed atmosphere created and the oppurtunity to catch up with Members, Councillors, and Association Officers. The Ellesmere Conservative Branch recently held a Drinks Party just outside Dudleston Heath, the event was very well attended with a strong festive atmosphere, including mince pies and carols. Guests in attendance included MP for North Shropshire and Secretary of State for Northern Ireland Owen Paterson and many members, and Association Officers.The event drew in people from across the constituency including as far a field as Market Drayton braving the weather to attend.